Eschew the tourist crowds and head to Shelly Beach and Speed Boats Tours. Your cultural itinerary includes sights like The Rocks and Darling Harbour. 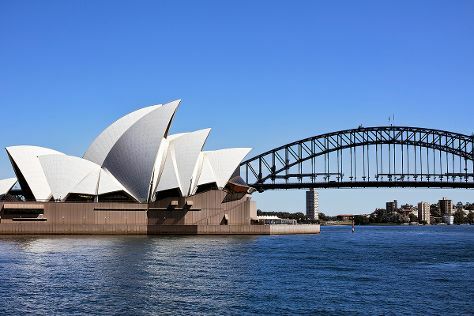 There's lots more to do: catch a live performance at Sydney Opera House, enjoy the sand and surf at Clovelly Beach, stroll through Manly Beach, and admire the natural beauty at Royal Botanic Garden Sydney. To see ratings, reviews, more things to do, and more tourist information, use the Sydney road trip planning site . Auckland, New Zealand to Sydney is an approximately 7-hour flight. The time zone difference when traveling from Auckland to Sydney is minus 2 hours. While traveling from Auckland, expect somewhat warmer days and about the same nights in Sydney, ranging from highs of 30°C to lows of 22°C. 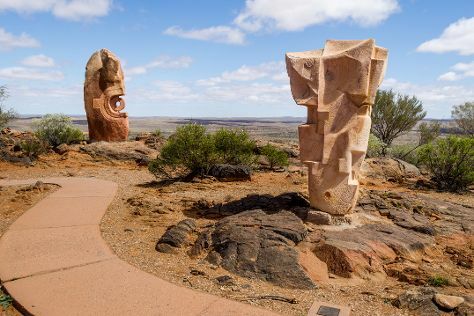 Finish up your sightseeing early on the 13th (Wed) so you can travel to Broken Hill. Kick off your visit on the 14th (Thu): see the interesting displays at Sulphide Street Railway & Historical Museum, then see the interesting displays at Albert Kersten Mining and Minerals Museum (GeoCentre), then examine the collection at Royal Flying Doctor Service, The Bruce Langford Visitors Centre, and finally identify plant and animal life at The Broken Hill Sculptures & Living Desert Sanctuary. Get ready for a full day of sightseeing on the next day: browse the exhibits of Howard Steer Art - Flying Doctor Artist, admire the masterpieces at Pro Hart Gallery, then Head underground at Day Dream Mine, then examine the collection at Silverton Gaol Museum, and finally take some stellar pictures from Mundi Mundi Lookout. To see photos, traveler tips, and tourist information, read our Broken Hill trip itinerary maker tool . Fly from Sydney to Broken Hill in 4.5 hours. Alternatively, you can drive; or take a train. In March, daily temperatures in Broken Hill can reach 32°C, while at night they dip to 22°C. Wrap up your sightseeing on the 15th (Fri) to allow time to travel to Mudgee. Start off your visit on the 16th (Sat): do a tasting at Burrundulla Wines, identify plant and animal life at The Drip Gorge, then learn about winemaking at SHORT SHEEP Micro-Winery, then see the interesting displays at Gulgong Pioneers Museum, and finally do a tasting at Thistle Hill Organic Winery. Keep things going the next day: learn about winemaking at Lowe Wines, then learn about winemaking at Petersons of Mudgee, then learn about winemaking at Logan Wines, and finally do a tasting at Broombee Organic Wines - Cellar Door. Plan a Mudgee trip in moments using our itinerary builder. You can do a combination of flight and car from Broken Hill to Mudgee in 5.5 hours. Other options are to drive; or fly. Plan for a bit cooler nights when traveling from Broken Hill in March since evenings lows in Mudgee dip to 17°C. Cap off your sightseeing on the 17th (Sun) early enough to travel to Forster. Forster is a coastal town in the Mid North Coast region of New South Wales, Australia, in the Mid-Coast Council LGA, about 308km north-north-east of Sydney. Kick off your visit on the 18th (Mon): explore the galleries of Whitewashed Gallery, enjoy the sand and surf at Cellito Beach, then kick back and relax at Elizabeth Beach, and finally sample the tasty concoctions at The Coastal Brewing Co. Here are some ideas for day two: examine the collection at National Motorcycle Museum, kick back and relax at Seven Mile Beach, and then enjoy the sand and surf at Seal Rocks. To see traveler tips, photos, where to stay, and other tourist information, go to the Forster road trip planning tool . Getting from Mudgee to Forster by car takes about 5 hours. Expect a daytime high around 30°C in March, and nighttime lows around 20°C. Finish your sightseeing early on the 19th (Tue) to allow enough time to travel to Port Macquarie. On the 20th (Wed), see majestic marine mammals with a dolphin and whale watching tour, then explore the wealth of natural beauty at Sea Acres Rainforest Centre Port Macquarie, and then visit a coastal fixture at Tacking Point Lighthouse. Start your trip to Port Macquarie by creating a personalized itinerary on Inspirock. Traveling by car from Forster to Port Macquarie takes 1.5 hours. Traveling from Forster in March, you will find days in Port Macquarie are slightly colder (25°C), and nights are about the same (22°C). Cap off your sightseeing on the 20th (Wed) early enough to travel to South West Rocks. 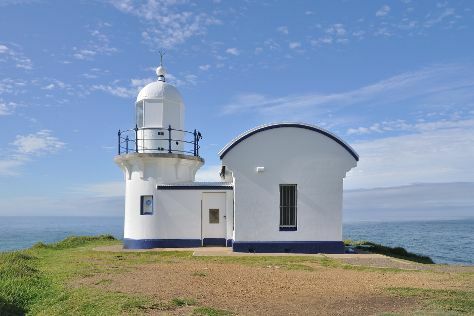 On the 21st (Thu), contemplate the long history of Trial Bay Gaol, then enjoy the sea views from Smoky Cape Lighthouse, and then see some colorful creatures with a scuba or snorkeling tour. To find reviews, where to stay, photos, and more tourist information, use the South West Rocks trip planner . You can drive from Port Macquarie to South West Rocks in an hour. While traveling from Port Macquarie, expect somewhat warmer days and about the same nights in South West Rocks, ranging from highs of 30°C to lows of 21°C. Wrap up your sightseeing on the 21st (Thu) early enough to travel to Byron Bay. Get outdoors at Stand-Up Paddleboarding and Kayaking & Canoeing. You'll discover tucked-away gems like Tweed Regional Gallery & Margaret Olley Art Centre and Belongil Beach. And it doesn't end there: enjoy the sand and surf at Lennox Head Beach, admire all the interesting features of Broken Head Nature Reserve, soothe aching muscles at some of the top local wellness centers, and tour the pleasant surroundings at Broken Head Beach. To see traveler tips and more tourist information, you can read our Byron Bay trip itinerary maker . Traveling by car from South West Rocks to Byron Bay takes 4.5 hours. March in Byron Bay sees daily highs of 32°C and lows of 20°C at night. Wrap up your sightseeing by early afternoon on the 24th (Sun) to allow time for travel back home.